Wonderful 8 x 10 photo from "The Good The Bad and The Ugly", signed by Eli Wallach, has added his character name 'TUCO' , and adds "Best Wishes". 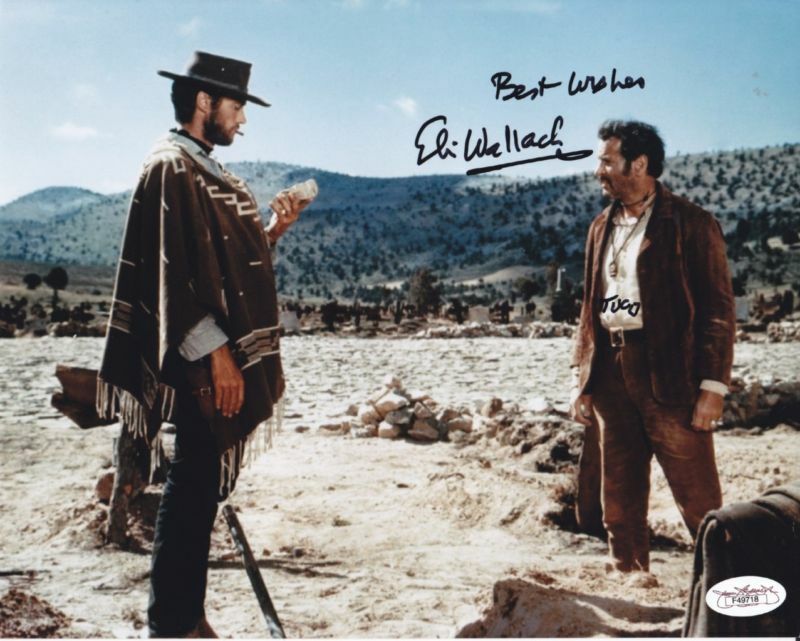 Eli Wallach is sadly no longer with us , and his autograph will only rise in value. Eli Wallach - (TUCO) - Adds character name and "Best Wishes"
Also authenticated by JSA, comes with serial no. hologram.